Decobot was founded in 2010 as a unified brand for the creative works of Ali Showkati. Our latest project takes Decobot to the next level. In 2011 we began development on our first game, Destined Legends, a tabletop card game that combines all of the best RPG elements in a fun and innovative new gaming experience. Our mission with Destined Legends, is to deliver something completely new that will push the world of tabletop card games to incredible new heights. We are currently in development of Series 2 of Destined Legends. If you are a investor, retailer, or company, please contact us for any business related needs. 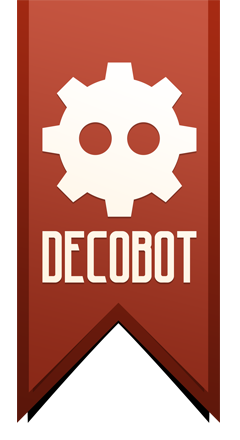 If you need to contact us about your Decobot order or purchased products, please contact us using our Support Page.